Specialization: the company is specialized on the application of corrosion-resistant coatings on galvanic systems, as well as zinc lamellar coatings using DELTA-MKS® systems, using licensed materials from Dorken MKS-Systeme GmbH & Co. KG. KG (Germany). Application of zinc lamellar coatings to protect fasteners. Products: services for the application of corrosion-resistant coatings. Technologies: the plant is equipped with modern technological equipment of leading European companies: surface preparation and anti-corrosion coating lines produced by Reinhardt GmbH, Driesch GmbH, Aquacomp Hard, Tosca shot blasting machines, sewage treatment and water treatment equipement KMU, Ecoteam S.p.A.). 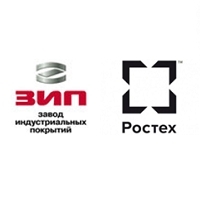 Customers: PJSC AVTOVAZ, BBS LLC, JSC Motor-Super, CJSC Polad, JSC TZTO, JSC VMK, FROS LLC, M automotive Rus, Edscha Togliatti, Faurecia LLC, APRIKS LLC, CJSC Group of companies Electroshield-TM, Bulten Rus LLC.